Our Ottawa immigration lawyers at Gerami Law PC have the experience assisting clients with replacing an expired (or due to expire), destroyed, lost or stolen Permanent Resident card (PR card). Depending on your situation, the steps you must take and the documents you must provide to Immigration, Refugees and Citizenship Canada (IRCC) will vary. Our lawyers will help you navigate the PR card renewal process in accordance with the criteria that applies in your case. 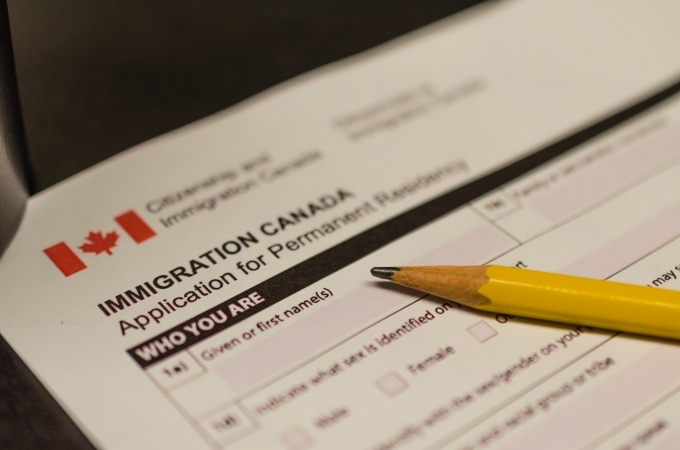 WHY IS RENEWING YOUR PERMANENT RESIDENT CARD IMPORTANT? Your PR card is official proof that you are a permanent resident of Canada. You need this card to enter and stay in Canada when you return from another country in a commercial vehicle (bus, boat or plane). If you are traveling to the United States and plan to return to Canada in a private vehicle (a private car), it may be possible to enter using your Record of Landing or Confirmation of Permanent Residence. However, it is prudent to renew your PR card before you leave Canada if it will expire while you are abroad. WHEN SHOULD YOU SUBMIT AN APPLICATION TO RENEW YOUR PR CARD? You should submit an application to renew your PR card if it will expire within 6 months. If you are planning a trip abroad and your PR card will expire while you are outside of Canada, you should renew it before leaving. You will need this card to re-enter the country in a commercial vehicle (airplane, boat, train or bus). IRCC provides estimates of processing times on its website. It is possible to apply for urgent processing, which may be helpful if you are planning a trip outside Canada and hope to renew your PR card before your departure. WHAT SHOULD YOU DO IF YOUR PR CARD IS LOST OR STOLEN OR EXPIRES WHILE YOU ARE OUTSIDE CANADA? If your PR card expires or is lost or stolen while you are outside Canada, you need to apply for a travel document to return to Canada by airplane, boat or bus (commercial vehicle). You are expected to return to Canada using that travel document and to renew your PR card when you are back in Canada. Any documents supporting humanitarian and compassionate grounds to be considered (if applicable). Providing sufficient evidence to support your PR status in Canada, demonstrate that you satisfy the residency obligation, or show humanitarian and compassionate grounds with your application can be onerous and complicated. The lawyers at Gerami Law PC can assist you with identifying and compiling documents that will facilitate a successful application. WHAT SHOULD YOU DO IF YOUR PR CARD EXPIRES OR IS LOST OR STOLEN WHILE YOU ARE INSIDE CANADA? You can replace your PR card by applying for a new one. You must submit several supporting documents with your application for renewal as well as a $50 fee. Note that any document that is not in English or French must be accompanied by the English or French translation, as well as an affidavit (official letter signed by a commissioner of oaths) completed by the translator. Any copy of an original document must be certified by an authorized person (IRCC provides a list of persons authorized to certify copies on their website). The authorized person must compare the original document with the copy and confirm that it is a true copy of the original document. If your PR card has been lost or stolen, you must let IRCC know as soon as possible. If you are outside Canada, you must go to the nearest Canadian visa office. If you are inside Canada, you will need to tell IRCC about what happened by completing an online form available on the IRCC website. You can then apply to replace your PR card. The lawyers at Gerami Law PC have extensive experience dealing with diverse and complex immigration matters and excel in proposing tailored solutions to unique client situations. We strive to provide personalized care to each of our clients and deliver high caliber legal services. Our immigration law firm reflects the diversity of the clients we serve with a proven track record of success in dealing with complex immigration matters and appeals. If you would like to discuss a matter and explore your options, please Contact Us today to schedule a Consultation with one of our lawyers.